These days fans are designed in unique ways so that they not only increase the beauty of your ceilings but also make use of the innovative methods of operation. Fans based on energy saving mechanisms and easy storage is given preference. Come summer and we remember to switch on the fans in the room. Once winter sets in they are forgotten and these fans simply collect dirt and dust. Conbox which has been designed by Jiyoun Kim can be packed and kept aside for the next season with ease. This is a table fan which can be dismantled completely and can be packed up properly. This table fan has a compact design and does not occupy much space on the table. Conbox can also be controlled using an app on your smart phone. These ceiling fans have been designed in such a way that they increase the aesthetic beauty of your homes. Lots of efforts were put in research and development and designs which were both simple and complex were created. Lots of attention was put on detailing and selection of material. You will find that there are fans with lamps and lanterns and with a dainty design. They are ideal for the ceiling of your living room and kitchen. Minhao Shi designed the Hula Fans. The fan is called Hula as the fan can turn like a hula hoop. The fan has a support pole and it moves in an off centre axis. The air is collected and accelerated by the application of pressure on the mesh part on the top. This fan has two modes. They are the circulating mode and the air mode. 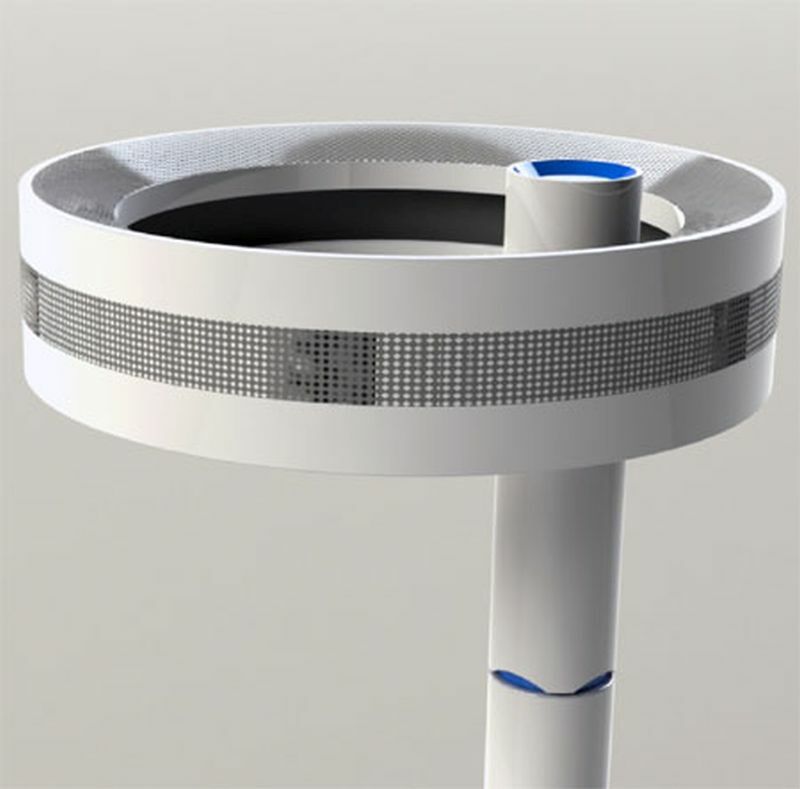 The circulating mode circulates the air and keeps the room clean and fresh. 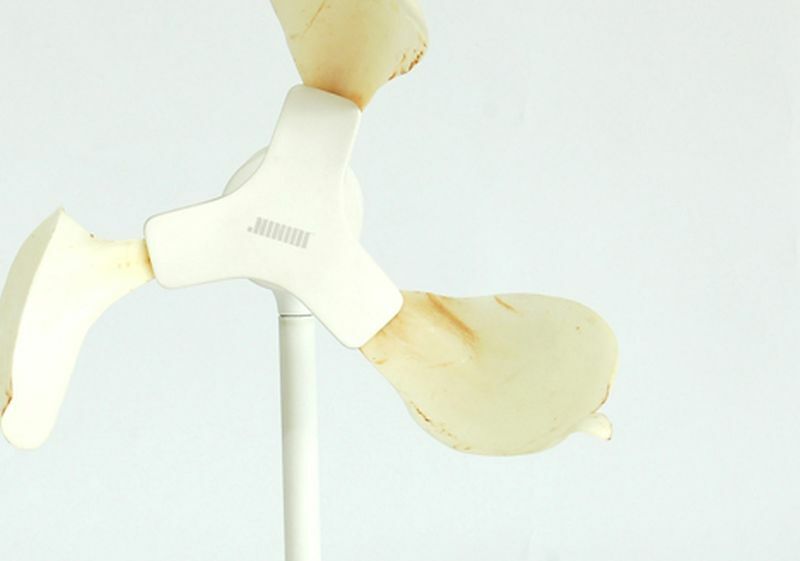 In the blowing mode, the Hula fan works like a normal fan. 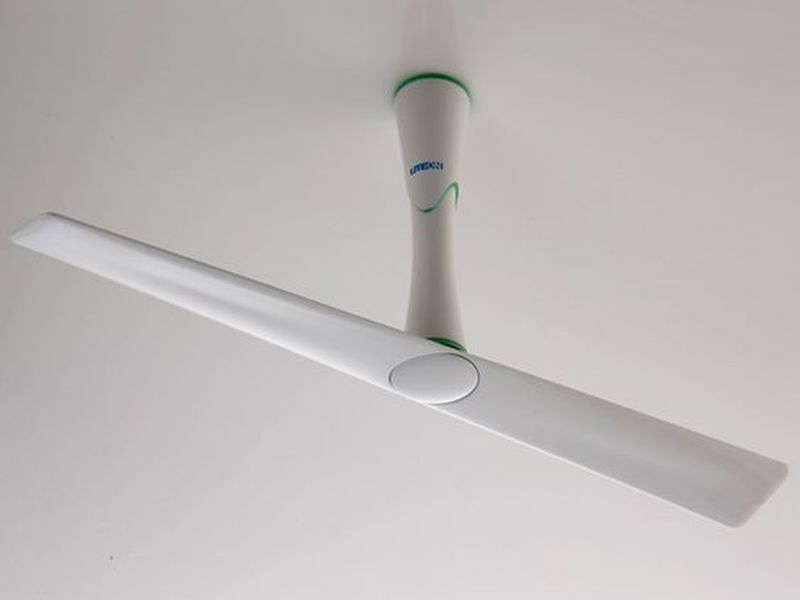 In this mode, the hula fan does not make much noise and it is energy efficient. In this fan when you switch it off the mechanical energy is saved. The electromagnetic induction and the saved mechanical energy are used to create electricity. This electricity is kept in the capacitor for future use. The energy principle is used in this case and it is said that the kinetic energy required for increasing the speed of the fan is same as that needed to slow down the fan. 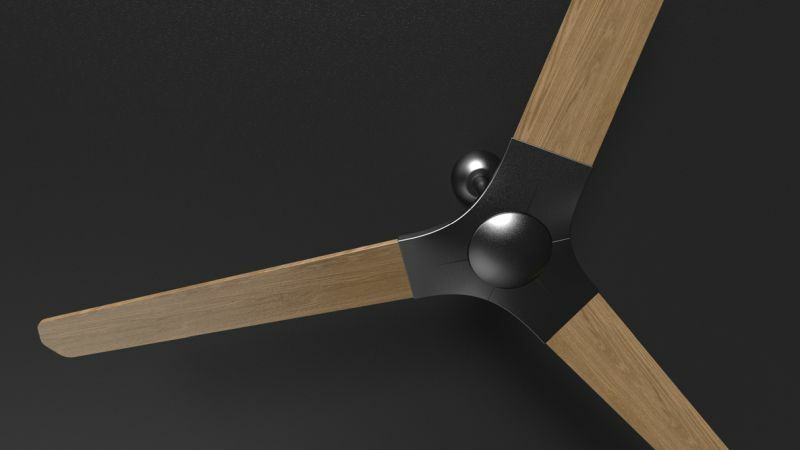 This fan has been designed by Tab Chao & Julia Zhu. This fan does not have a hub and it works on electromagnetic rails. This fan does not have a central motor and hence it is silent. Torus can push the air downwards and upwards due to the presence of electromagnetic rail system. 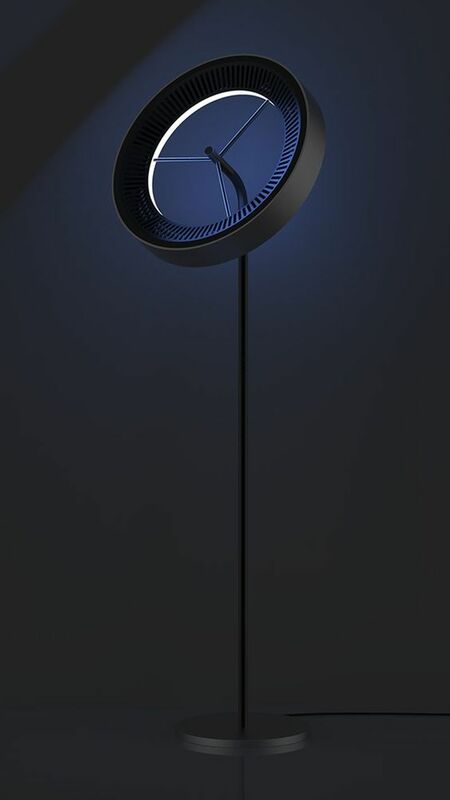 Torus can be pointed in any direction and it comes with a LED strip. Now here is a fan in which you can clip to almost anything. This is a non-traditional fan which has three clips and no blades. You can clip in just about anything that you like. Users can clip in flowers, boards, stockings, leaves, ribbons and many other things. 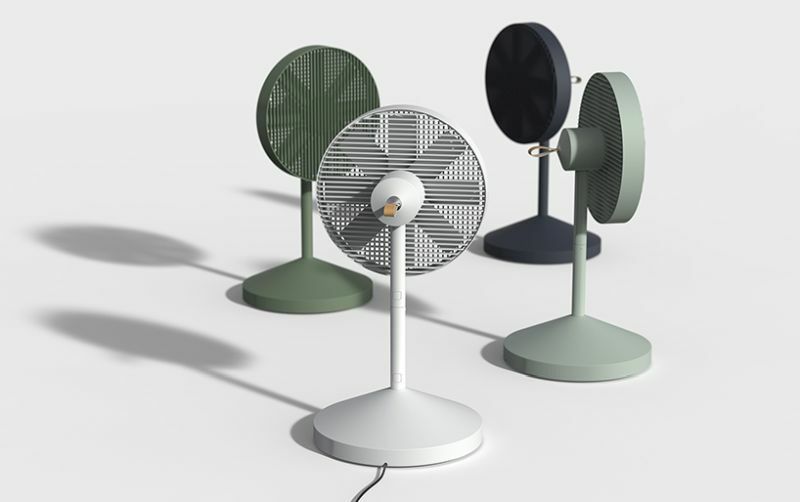 The fan has been designed by Qian Jiang and Yiying Wu. This fan works at good speed. Well and since it is also nick-named as chicken wings fan do not get ideas! You can pin in chicken drumsticks but do not try out chickens as it might turn out into a nightmare. These pioneering and atypical concepts in fan design are path breaking. They serve the basic purpose of keeping you cool but they also look stylish and different. They add a unique touch to your home. ← What Are the Benefits When You Hire Local Movers?